Guatemala is one of our favourite countries in the world. We visited here in 2005, and really enjoyed the people, culture, natural attractions and wildlife. 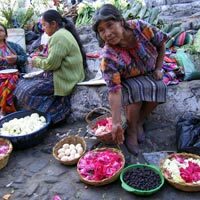 Read the Guatemala Food Diary. List of Hostels in Guatemala and link to a booking form.